Most of the fruits we eat are valuable sources of vitamins, minerals and fiber. Some of the most popular fruits, however, harbor a hidden danger: poisonous seeds or pits. Their degree of toxicity depends on a number of factors, including the season and the victim’s body weight, advises Purdue University Extension consumer horticulture specialist B. Rosie Lerner. The best course is to know which fruits' seeds or pits are poisonous and to prevent children and pets from swallowing them. Apple (Malus sylvestris) seeds contain cyanide. 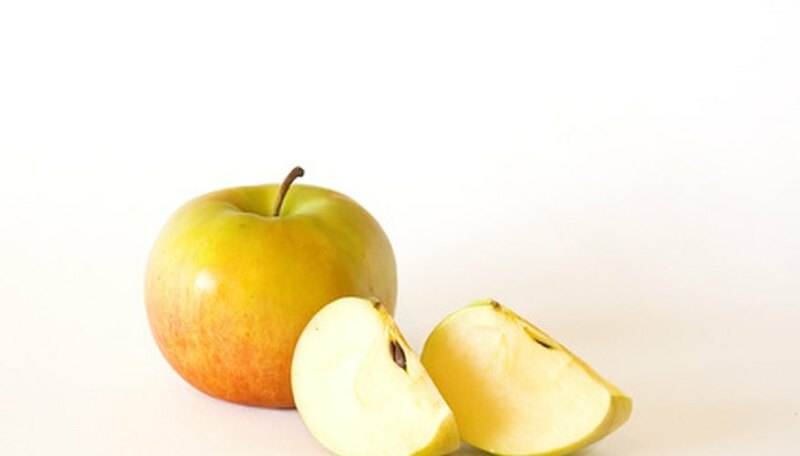 Eating the seeds of a single apple isn’t harmful, but swallowing seeds from several can be fatal. Consuming cyanide in sufficiently large amounts leads to nausea, stomach cramps, diarrhea and death. Both wild and domesticated cherry (Prunus spp) seeds contain a cyanide compound, according to the Michigan State University Extension. Ingesting a large number of them produces the same symptoms as eating too many apple seeds. Apricot (Prunus armeniaca) pits contain the toxins cyanogenic glycoside and amygdalan. Symptoms of apricot seed poisoning include nervousness, weakness, dilated pupils, convulsions and coma. Eating large amounts of the seeds can be fatal. Peach (Prunus persica) pits also contain amygdalin and cyanogenic glycoside, cautions the North Carolina State University Consumer Extension Service. Consuming these produces the same symptoms as apricot pits. As close relatives of peaches and apricots, nectarines (Prunus persica var. nectarina) are a third fruit with pits containing cyanogenic glycoside and amygdalin. Ingesting them produces similar symptoms. The size and tough covering of the pits of all three fruits, however, reduces the risk of accidentally ingesting them. Pear (Pyrus spp) seeds have a potentially lethal cyanide compound. It can cause nausea, diarrhea and abdominal pain. Other symptoms include sweating, fatigue, convulsions, twitching and coma. Like the above-mentioned fruits, wild and domestic plums (Prunus Americana and Prunus domestica) belong to the rose family. They too have pits containing a cyanide compound, causing the same symptoms as pear seeds. Avocado (Persea Americana), native to Central America, is a pear-shaped salad and Mexican cuisine fruit. Its seeds can poison livestock and other animals. Their unidentified toxin attacks the myocardium (protective sac around the heart) and--in nursing animals--the mammary tissue, according to the University of Pennsylvania School of Veterinary Medicine. Why Do Ginkgo Tree Berries Stink?